Domino’s doesn’t care where you order your pizza. They want to give you free pizza anyway. 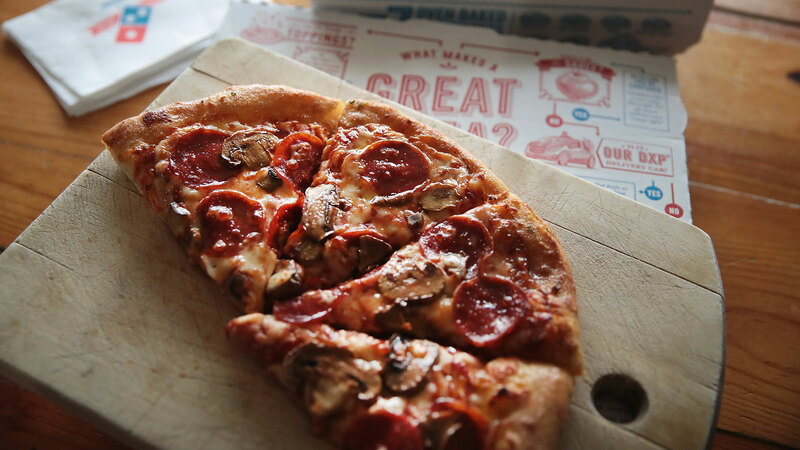 Called the “Piece of the Pie Rewards” promotion, Domino’s will give you points for literally any pizza you eat — and yes, that even includes homemade pizza and frozen pizza. All you have to do is create a “Piece of the Pie Rewards” account on the Domino’s app (so you’ll need to download that to your phone if you haven’t by now) and scan the pizza on the app. It doesn’t have to be the barcode you scan, either; a photo of the pizza counts. For every scan, you earn 10 points, but you can only own 10 points per week. Once you’ve collected 60 points, you earn a free medium two-topping hand-tossed Domino’s pizza. Just make sure you claim your free pizza within six months, or else it’ll expire. Unfortunately, once you rack up 60 points, that’s it. You can only score one free pizza. Now that we’re finally aware of this “Piece of the Pie Rewards” program, all the photos Domino’s posted on Twitter leading up to this announcement make perfect sense. First, they posted this deep-dish pizza from who knows where. Then they posted this glorious slice. And finally, they tweeted a photo with a pizza dog toy and bagel bites to which everyone collectively scratched their heads. Ready to start collecting points? Better hurry; you only have a few more hours to enroll in its rewards program.